You’ve probably read a content marketing article or five that reads something like this: “Never try to use social media for B2B marketing. Only traditional methods will work and you’ll just be wasting your time.” If you Google those sentences right now, you’re bound to find at least one that shares that exact same sentiment. Not only the idea that B2B sales leads can’t be made over social media wrong, it’s dead wrong. Your social media channels will likely be your BEST source for sales lead versus other platforms and methods you’re using, and this is true for pretty much all social sites. You know what LinkedIn is, and if you don’t? Maybe go back to Business 101. LinkedIn is literally the place to be if you want to network and connect with other professionals and find business opportunities, both personally and via B2B partnerships. Because it’s so chock full of professionals, this should be your first stop for any B2B marketing campaigns you want to let loose. Start with this social site before experimenting on any others. There are a lot of reasons that make LinkedIn bad in respect to marketing, however. The conversion rates for LinkedIn aren’t the greatest, but when you use LinkedIn to get direct leads – well, you just aren’t using it correctly. Treat LinkedIn like a middle man. Use it to get people to notice you, not to try and sell yourself to someone directly. You want someone on LinkedIn to read your content – actually, you want A LOT of people on LinkedIn to read it. Want to know how in an easy way? Go to make an update and you’ll see one of two options: one based on sponsorship and one based on advertisements. Pick the sponsored updating option – when people see your content as an ad, they’ll skim right over it. Now time to pick out what content to post. This can be tricky – you need something that isn’t obviously talking all about you. People see when you do that and immediately assume they’re looking at one big advertisement. So that’s your first rule – don’t make your content read like an ad. The most meaningful way to get in touch with someone on LinkedIn is via a helping hand. You can do this by posting an ebook that’s not an ebook. For some reason, the term “ebook” is going out of fashion in the current Internet climate, so what you should really be posting is a guide. When someone hears the word “guide,” they think of a helpful and easy to use resource that’s both informative and instructional, and that’s exactly what you want. The common question people start to ask here is “why am I teaching people how to solve a problem when the point of my business is to help them with said problem?” Don’t worry so much, honestly. Your business should be more valuable than something you write in a 1000 word guide. You’re giving them a taste of your value, and it’s likely that someone will realize their problem is much bigger than that simple guide you provided, driving them to you and your service. When you use methods like this on LinkedIn, you can typically see a 40% conversion rate, which isn’t half bad compared to other forms of lead generation. 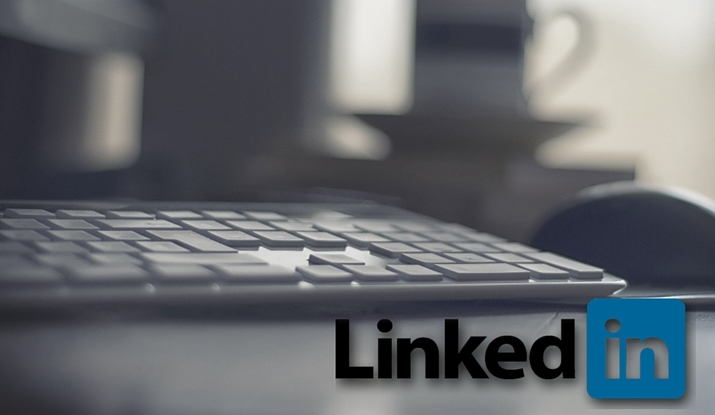 Another way you can get noticed on LinkedIn is via Pulse, their content curation partner. This news aggregate website regularly picks up LinkedIn posted content and pushes it out to its own audience as a form of website symbiosis, but you also get a piece of this pie too. If you want to get your article published on both LinkedIn AND pushed out to Pulse readers, there are only a few simple steps to take. Your article should be original, non-promotional, engaging, categorized by the title you choose, more than 500 words and push it out through your own social channels. Also a great image doesn’t hurt. This form of marketing, referred to as “thought leadership” shines a light on you as someone with influence and important things to say. When you use LinkedIn to drive people to your site, always remember that you don’t want just one interaction and that’s it. Make sure that once they’re there, your website offers them something engaging to do so you keep them coming back for more.